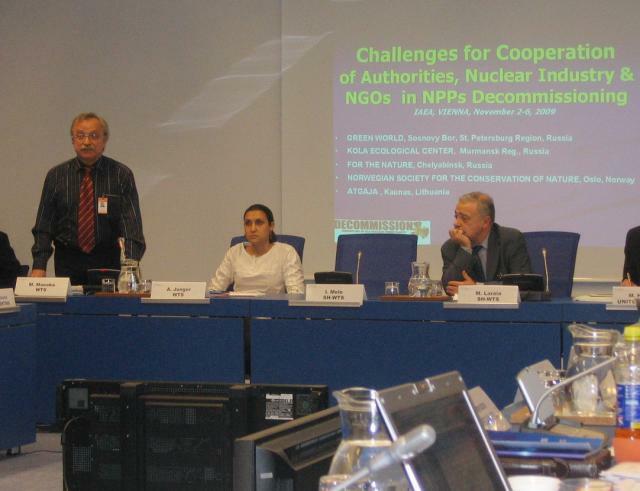 In early November2009 in Vienna at the annual expert meeting of government bodies The presentation of Oleg Bodrovof the International Atomic Energy Agency (IAEA) a speech was delivered by Oleg Bodrov, a representative of Decommission which is an international network of NGOs aimed at advancing safe and responsible decommissioning of NPPs www.decomatom.org.ru . The presentation http://docs.google.com/present/view?id=ddbmhwkk_577hg9tp9cr&interval=5 of the Russian citizen drew a considerable response. However, Oleg Bodrov addressed the meeting on behalf of … Norway. It happened due to the refusal of the Russian government to nominate the invited NGO representative for participation in the IAEA Forum. In 2003, the decision on life time extension of Kola and Leningrad NPPs was made without a state environmental expertise justifying the operating license extension. 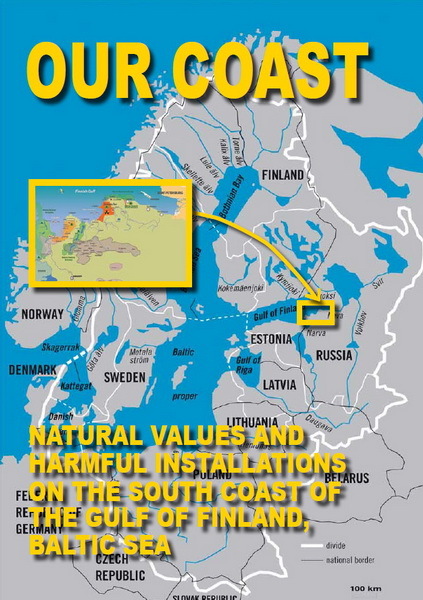 Furthermore, the interests of fishermen on the south coast of Gulf of Finland were not taken into account. Hundreds of millions of fish perish in the water intake facilities. As a result, the fishing industry was disrupted. Fish-processing factories on the south coast of Gulf of Finland were closed. A lot of other safety problems were ignored while granting the NPP life time extension. 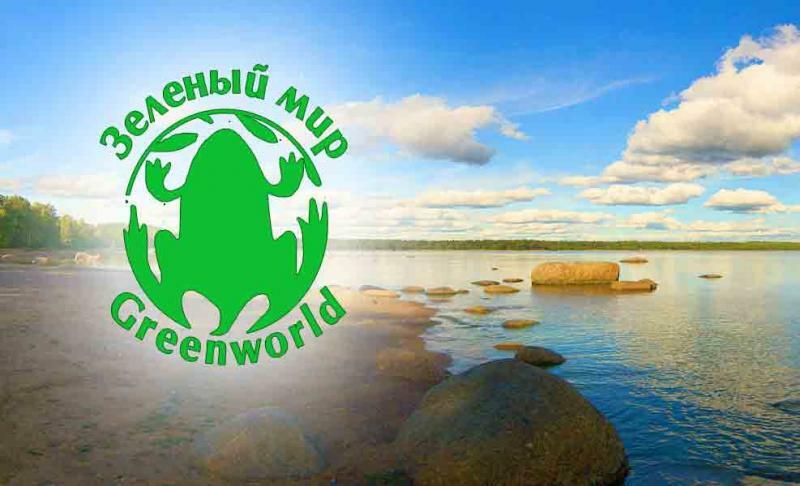 Environmental NGOs of North-West Russia were confronted by the gross violation of law and ethics. However, their efforts to protest and appeal at the Prosecutor’s Office were unsuccessful. They decided to study the world’s experience in decommissioning of NPPs for adaptation to their own country. 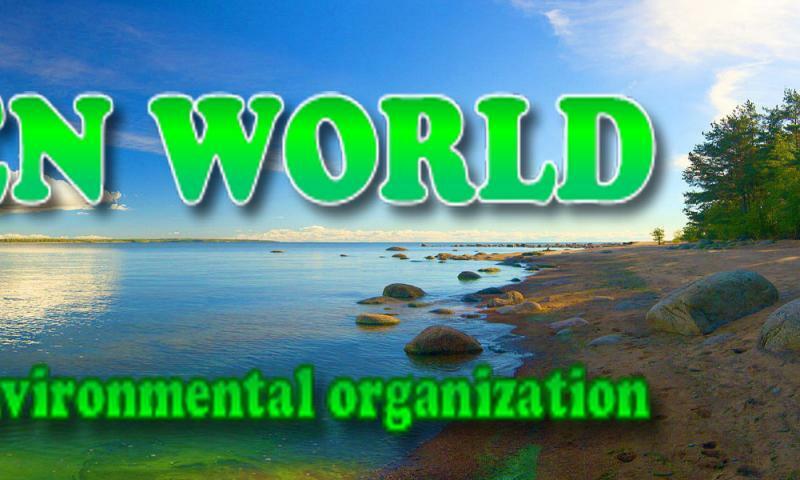 As a result, an international network of NGOs from Russia, Lithuania, Germany, and the USA “Decommission” was established. The documentaries on problems which arose during the course of reactor decommissioning in Lithuania, Germany, and the USA were shot. Decommissioning study trips to Lithuania and Germany were organized by the NGOs for representatives of NGOs, municipal and regional authorities of North-West Russia, public activists as well as experts and nuclear industry trade unions. During these trips the participants gained valuable experience in finding effective solutions to technological, environmental and social problems arising during the NPP decommissioning process as well as management of argument with opponents having different opinions regarding NPP safety. Nuclear Power Plants in the Baltic and Barents region After 5-year’s work Decommission formulated certain recommendations on possible use of the international NPP decommissioning experience in Russia. The work results were presented in a report, then thoroughly discussed with all the stakeholders, and afterwards placed on the internet address sites/default/files/conception_eng_1610.pdf . The work results were presented at the international conference of Rosatom on decommissioning of nuclear hazardous facilities (Decommission-2009, Moscow, June 2009). A representative of the IAEA participating in the conference invited a speaker, the author of these lines, to make a similar presentation in Vienna at the annual Forum in the IAEA. The topic of the forum session was Communications with Decommissioning Stakeholders. The invitation was accepted. However, according to the IAEA rules a formal nomination for participation granted by the authorized government organizations of the Russian Federation was required. In this way the real attitude of the government toward the public became apparent. The two-week long negotiation by phone, exchange of letters via e-mail and facsimile with Rosatom and the Russian representation at the IAEA in Vienna ended with a refusal. The situation looked absurd. 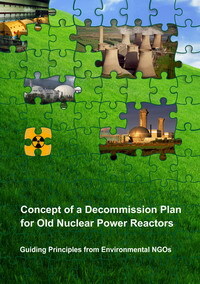 After all, in 2007 the project “Decommissioning plan for old nuclear power reactors. Experience in social partnership” was pronounced the winner of the public Rosatom competition by Mr. Kiriyenko, the head of Rosatom. The report Challenges for Cooperation of Authorities, Nuclear Industry and NGOs in NPP decommissioning intended for the IAEA Forum was based on this document. The way out of this crisis situation was found thanks to the Norwegian authorities who supported the project. On the same very day a formal presentation of the Russian citizen was submitted by Norway to the IAEA office in Vienna which enabled his participation in the Forum as a representative of Decommission. On the 6th of November a 30-minute presentation was accompanied by screening of the documentaries on NPP decommissioning experience in Germany and Lithuania. It aroused the interest of organizers and experts of the IAEA member countries. The report was focused on the most interesting solutions accepted in the countries where the decommissioning process had already begun. In particular, from the experience of Germany, the USA, and Lithuania Regional Community Councils became an effective mechanism for dissemination of information to the public as well as consultation of all the stakeholders of the decommissioning process. Representatives of the authorities and the nuclear industry as well as public activists formed these councils. Shortsighted policy where huge innovative potential of the decommissioning process and future demand for decommissioning technologies from all over the world are not taken into account. A mechanism for manipulation of public participation used by Rosatom was noted as an obstacle for safety enhancement. 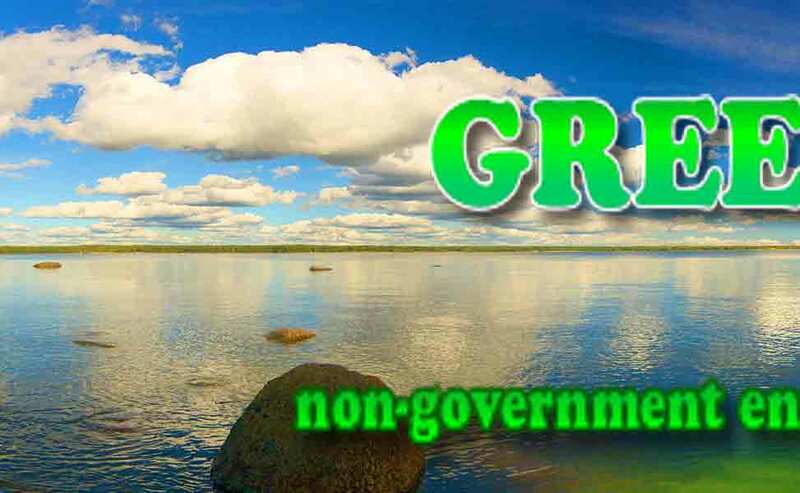 For example, when public environmental expertise is conducted, priority rights for access to the information is granted to non-governmental organizations which are either friendly to Rosatom or are being controlled by its representatives. It does not only guarantee an expected result http://www.mayak.sbor.net/index.php?module=articles&func=display&ptid=11&aid=2288, but also overrules the possibility for participation of independent concerned public citizens since the Russian legislation prescribes no more than two public assessments. Oleg Bodrov addressed the meeting on behalf of Norway The speech illustrated the inefficiency of transboundary mechanisms for environmental safety provision in environmentally sensitive regions. For example, the western Baltic countries (Germany, Sweden) closed a part of the NPP on safety grounds. At the same time, new NPPs are being built in the eastern Baltic countries (Finland and Russia). 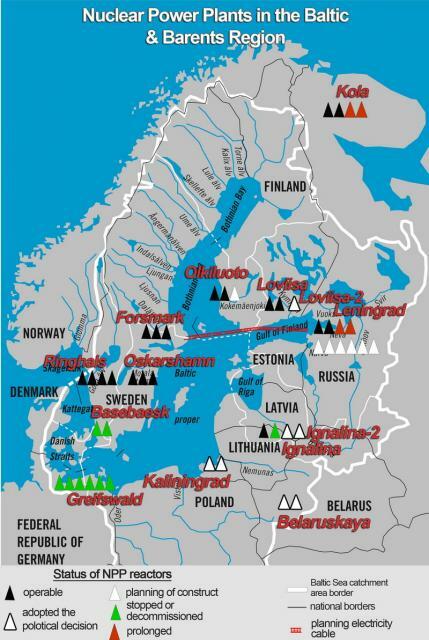 Nuclear energy is supposed to be exported to the west of the Baltic region. Thus, national solutions of every Baltic country do not provide for nuclear safety of the whole region. Russia is the only country in the Baltic, which has not yet ratified the Convention on Environmental Impact Assessment in a Transboundary Context (Espoo Convention). This is one more of the factors increasing the risks of negative environmental consequences for all the countries of the Baltic region including Russia. 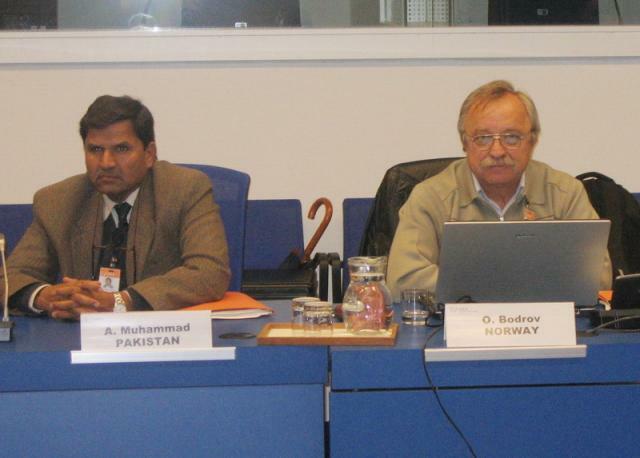 The presentation awoke interest among the participants of the IAEA Forum. Interested experts were given a copy of «Concept of a decommission plan…» prepared thanks to the mutual efforts of the NGOs, as well as copies of the presentation and the documentaries in English. The response of an official Russian representative to the report was curious. He refused to comment on the speech since according to his words it was “unofficial information and a personal point of view on the NPP decommissioning in Russia”. In this way, “Russia’s official stance” was demonstrated - the essence of which is a monopoly in safety evaluation and dictatorship of nuclear proliferation.